Trump's relationship with Israel reached a potential turning point this week. As he prepares for his Monday visit with ramped-up security, Jerusalem Post notes that Israelis are already preparing to make their voices heard. Protests are already being planned in Jerusalem and Tel Aviv. Across from the US Consulate, a tent will be set up with examples showing the Palestinian Authorities' incitement of terror against Israel. Two anti-Trump protests are planned to happen simultaneously, and together have over 350 Facebook RSVPs. Trump's popularity is plummeting among Israelis. 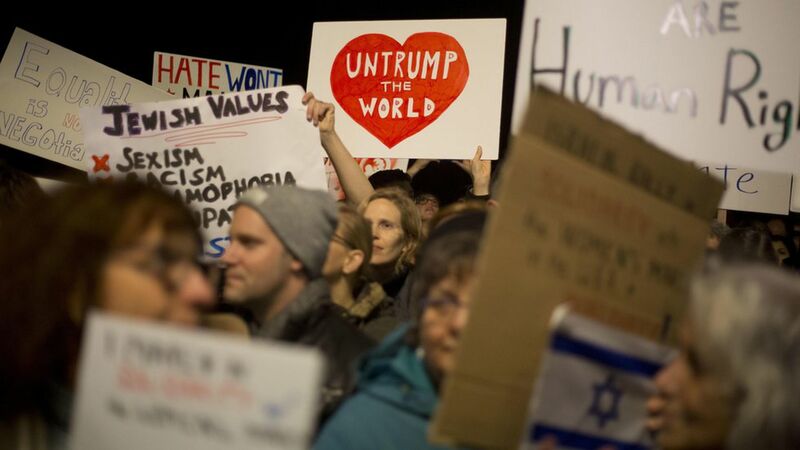 Only 56 percent of Israeli Jews consider Trump to be pro-Israel, a significant drop from the 79 percent who felt that way before inauguration, according to a new JPost poll.